Cologne - Yuya Osako's opening goal in 1. FC Köln’s 2-0 win over VfB Stuttgart on Matchday 2 marked a double first. It was the 24-year-old’s first Bundesliga goal for the Billy Goats since his summer move north from Bundesliga 2 outfit TSV 1860 München. More of a surprise, however, was that it was also the first goal scored by a Japanese player in a Köln shirt since the legendary Yasuhiko Okudera notched in February 1980. For Osako, the goal went some way to establishing himself at his new club, where competition for places up front is fierce. Anthony Ujah, Simon Zoller, the currently-injured Patrick Helmes, as well as wide men Daniel Halfar and Marcel Risse are, or will be, competing for places under the watchful eye of coach Peter Stöger. 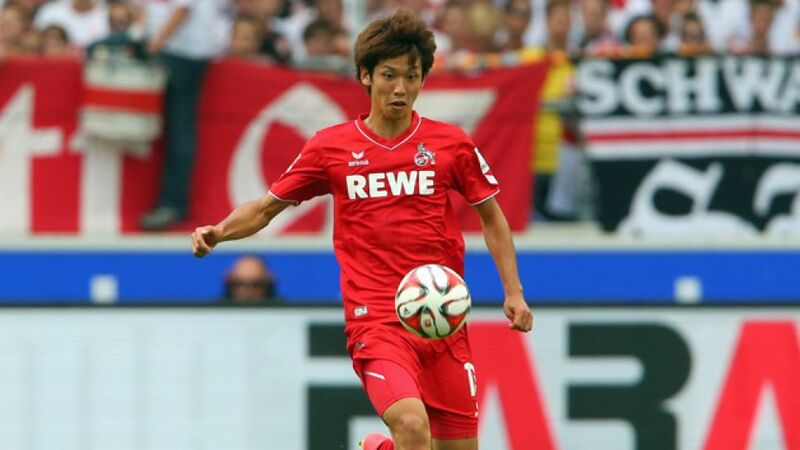 Although Osako's debut in the 0-0 opening day draw with Hamburger SV showed flashes of promise, the Japanese striker was relieved to feature again against Stuttgart. "I’m starting to understand the coach’s expectations," he said after the win. "I’m trying to deliver my best performances and score goals week-in, week-out." For his part, Stöger’s faith in Osako has never wavered, despite the pacey striker drawing a blank on the opening day. "It was clear to us that Osako would get another chance up front after the HSV draw," said the Austrian after victory in Stuttgart's, Köln's first of the season. "It was important for us to deliver our best performance against VfB. We knew that if we stayed compact, then we’d get chances on the counter. For that reason, we needed players who are dangerous and aware in the final third - thankfully that came off." This time, Osako took his chance. Following up at the back post in the 22nd minute, he was on hand to turn the ball in coolly for the opening goal and give his side a lead that they did not relinquish, despite Stuttgart’s late onslaught. "I wasn’t at my best against Hamburg on Matchday 1," he admitted, "but I worked really hard in training and now I’ve been rewarded. In football, fighting for what you want is really important if you're going to achieve anything." The nine-time Japanese international netted six goals in 15 games during his half-season with 1860 in the early part of this year and is now off the mark at his new club, thereby proving his capability at making the step up to the Bundesliga. If he can maintain his current trajectory, he may be stepping out of Okudera's long shadow sooner rather than later.